Virginia Beach Ambulatory Surgery Center - Welcome to the Virginia Beach Ambulatory Surgery Center! Welcome to the Virginia Beach Ambulatory Surgery Center! 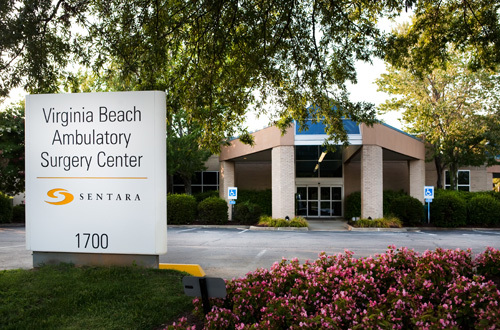 Virginia Beach Ambulatory Surgery Center (VBASC) is a multi-specialty outpatient surgery center, located on the campus of the Sentara Virginia Beach General Hospital. VBASC has been the first free-standing ambulatory surgery center serving the surgical needs of the Virginia Beach community since 1989. VBASC has four fully equipped state-of-the-art Operating Rooms. The center serves the specialties of orthopedics, otolaryngology, podiatry, urology, gynecology, plastic and general surgery. Our board certified surgeons and anesthesiologists are highly skilled at performing minimally invasive surgical procedures that enable our patients to be discharged to home after surgery. Our highly qualified and experienced clinical staff is skilled in giving safe, compassionate care and providing you with a comfortable surgery experience. VBASC is licensed by the Virginia Department of Health, certified by the Centers for Medicare and Medicaid Services (CMS) and is accredited by the Accreditation Association of Ambulatory Health Care (AAAHC). VBASC is a joint venture for profit ambulatory surgery center owned by physician partners and Sentara. Your surgeon may have a financial interest in the surgery center.